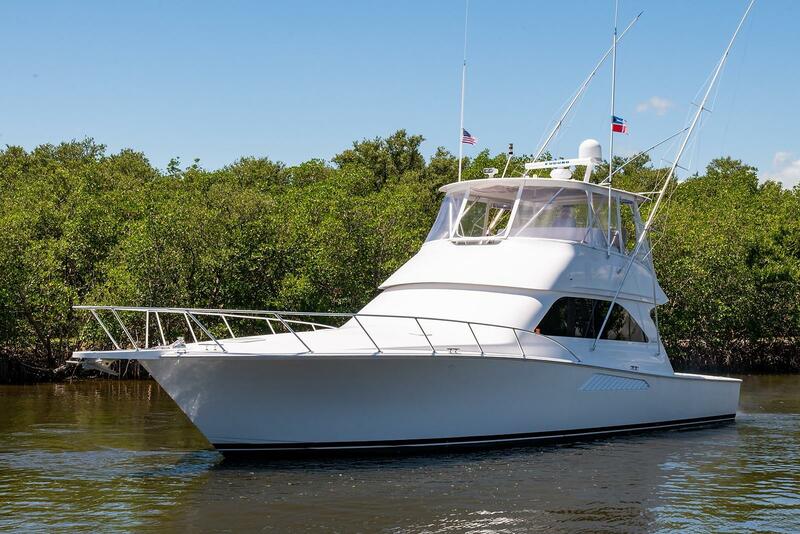 2003 Viking 48' Convertible (Painted) "Privateer"
The Privateer, 2003 VIKING CONVERTIBLE 48', has had only two caring owners since delivery. 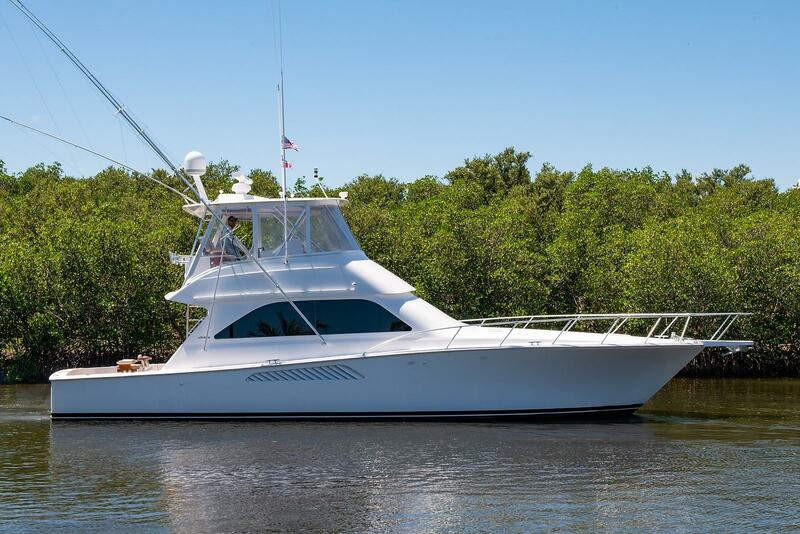 She had topside paint by Viking as well as numerous upgrades. 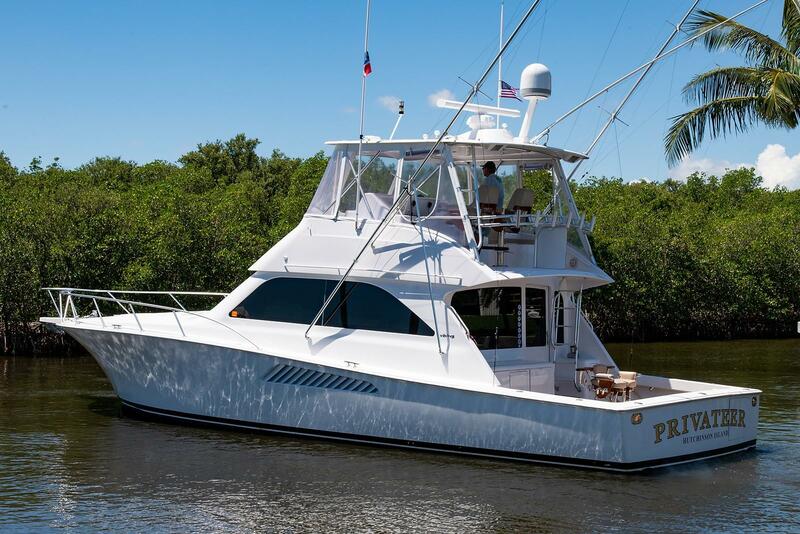 Loaded with gear, and ready for her next owner. 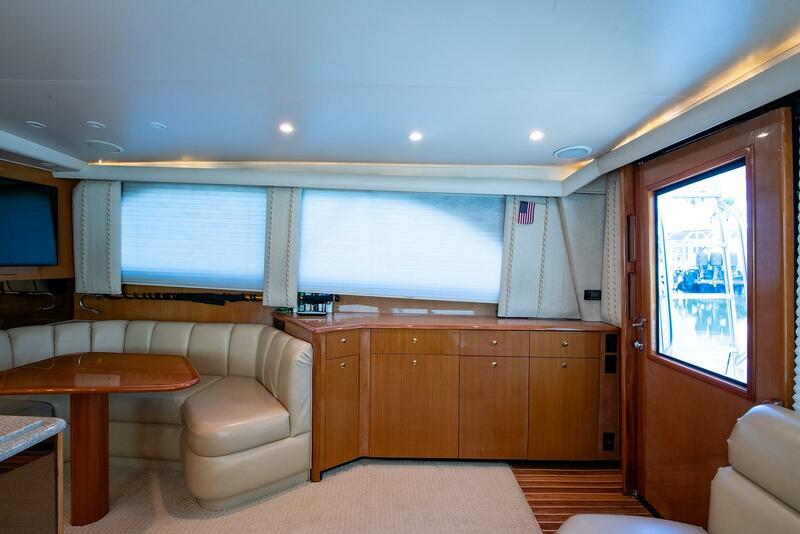 Entering the salon, you will find an L-shaped sofa to port aft and the U-shaped galley forward. 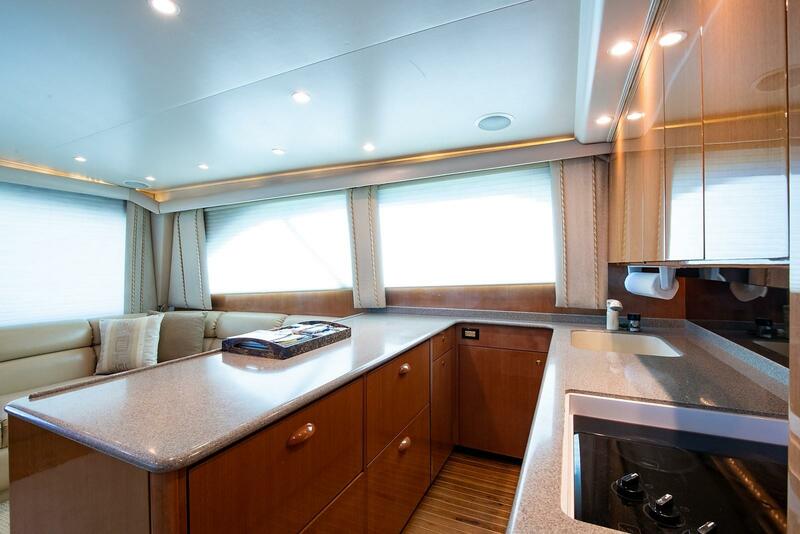 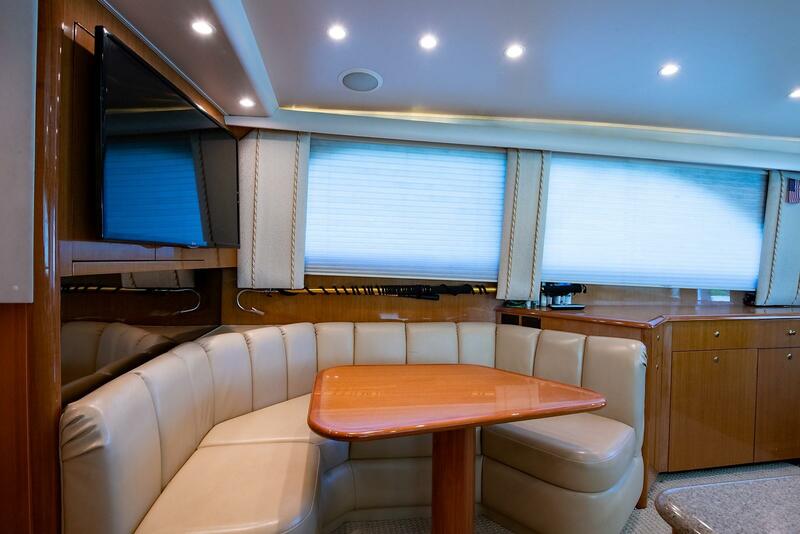 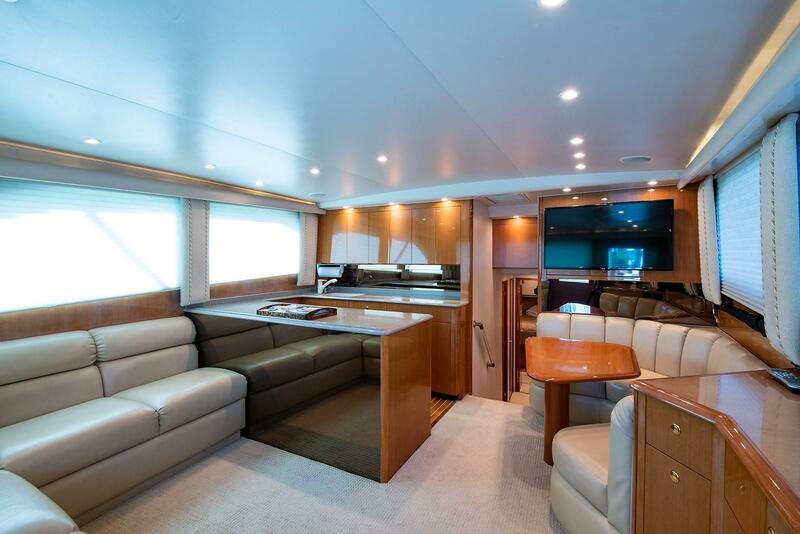 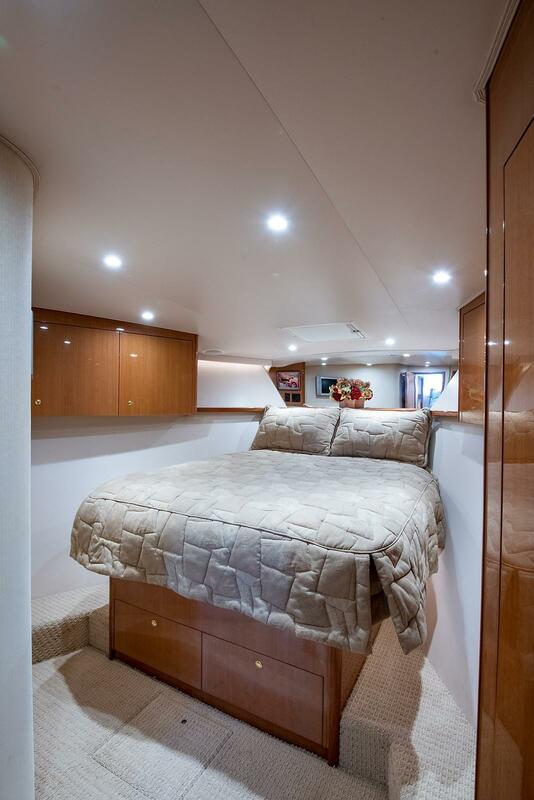 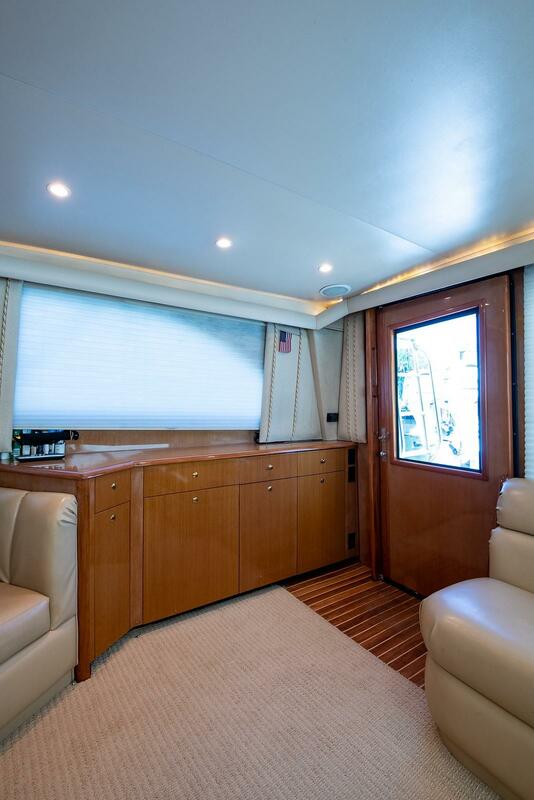 To starboard is the dinette with table forward with storage and electrical panel aft. 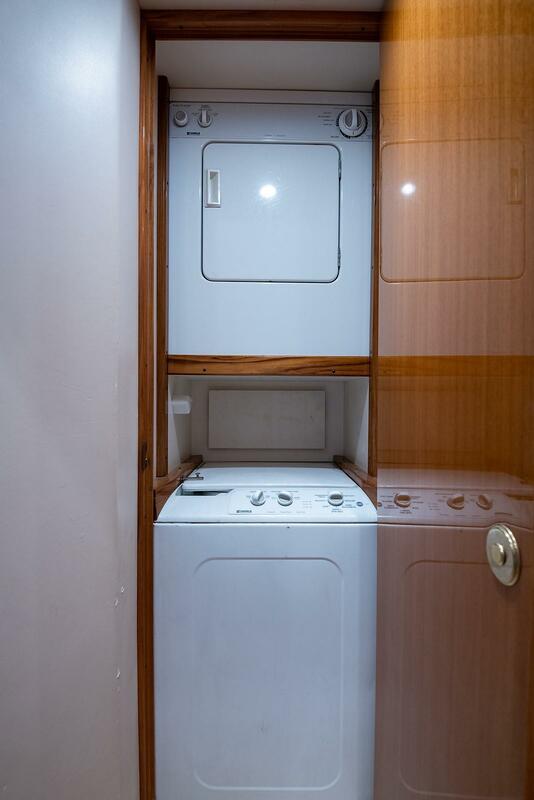 Moving forward and down three steps to the companionway, you will find the laundry center with washer/dryer to starboard. 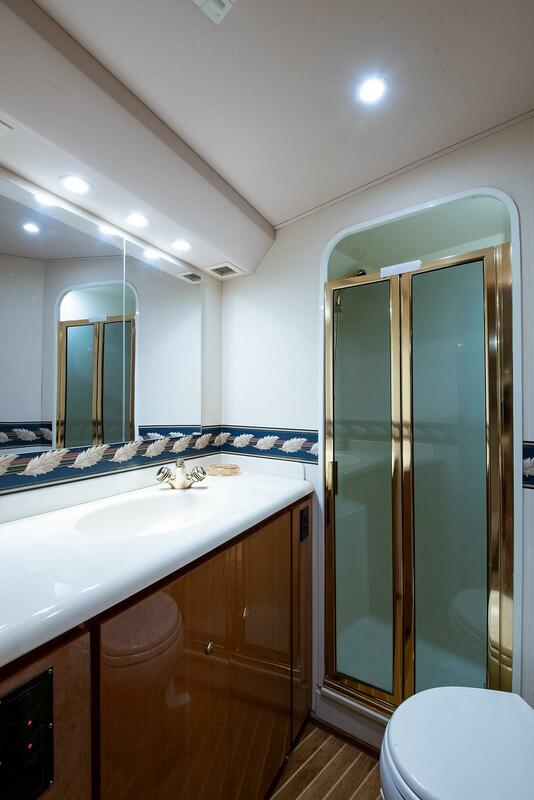 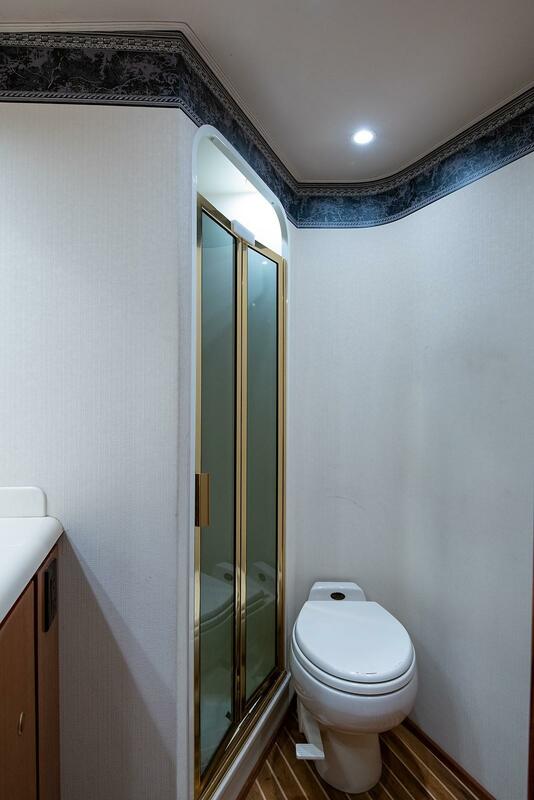 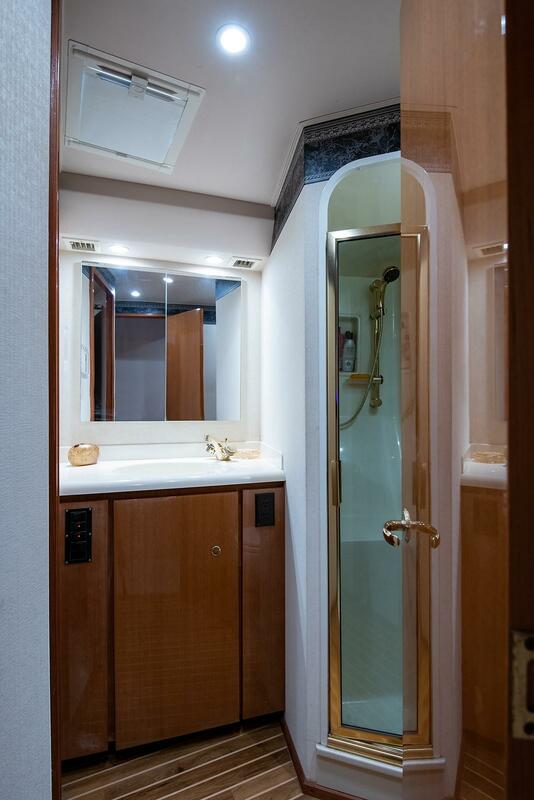 To port is the Guest Stateroom with upper/lower berths and a head with stall shower. 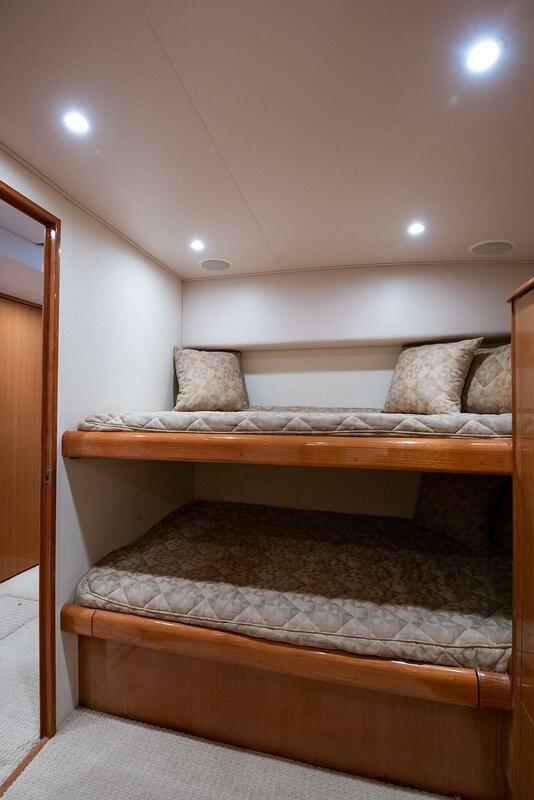 The guest head is also accessible from the companionway. 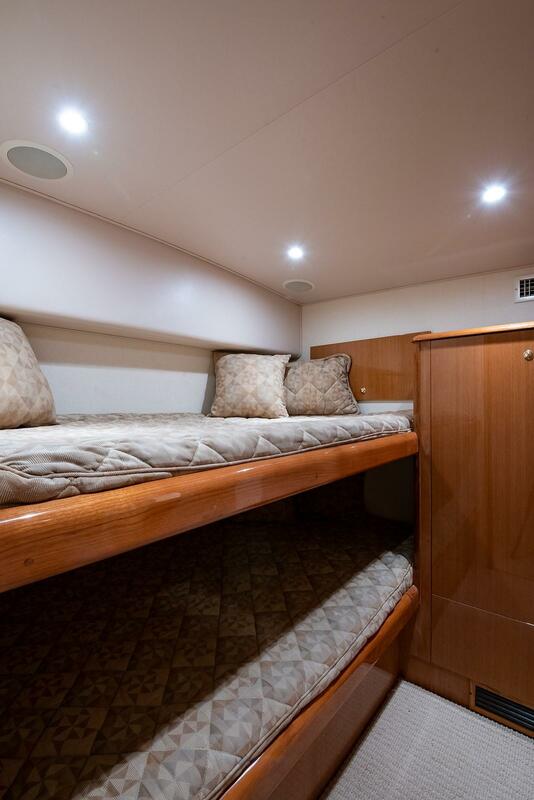 Forward is the master Stateroom with centerline queen bed and ensuite head with stall shower. 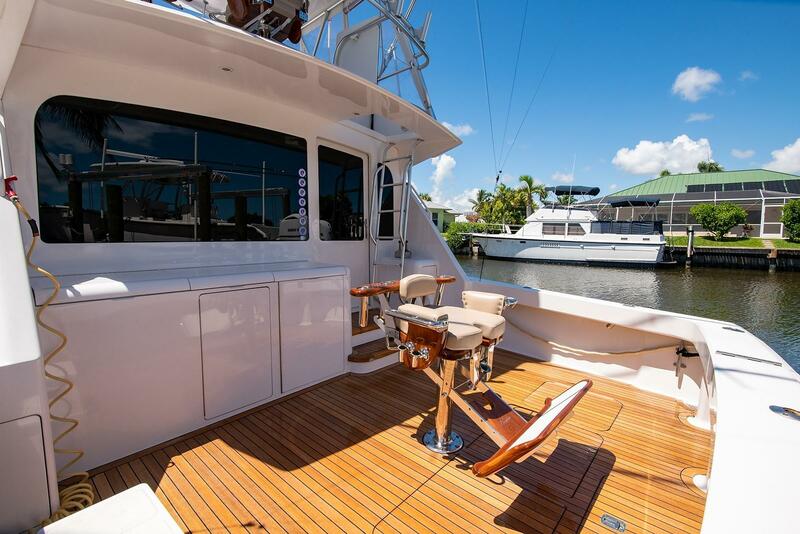 The cockpit features a Release Marine teak chair, transom door with gate, teak deck, in deck fish box with ice dump, and an in-deck live well. 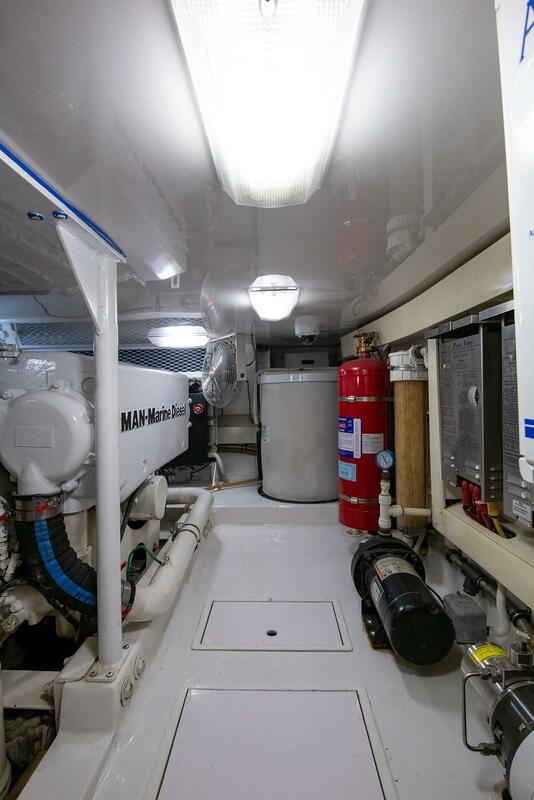 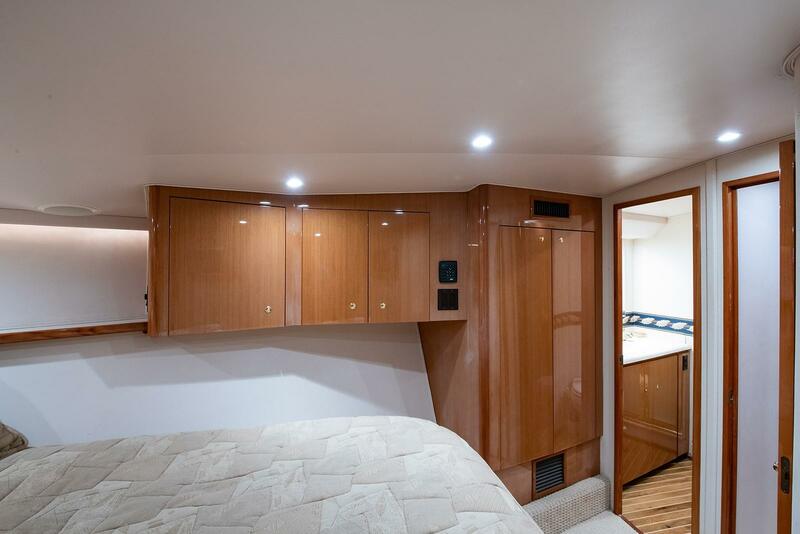 The molded tackle center has a sink, storage drawers, freezer and engine room door. 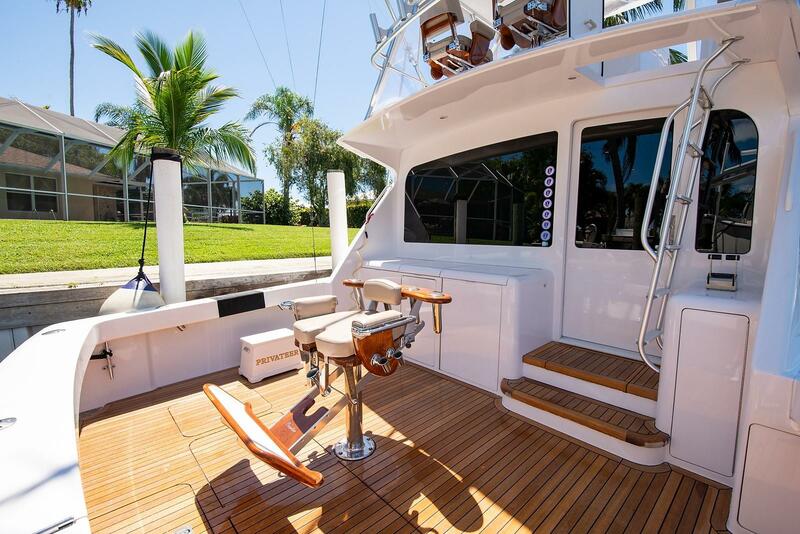 The ladder to the flybridge is to starboard. 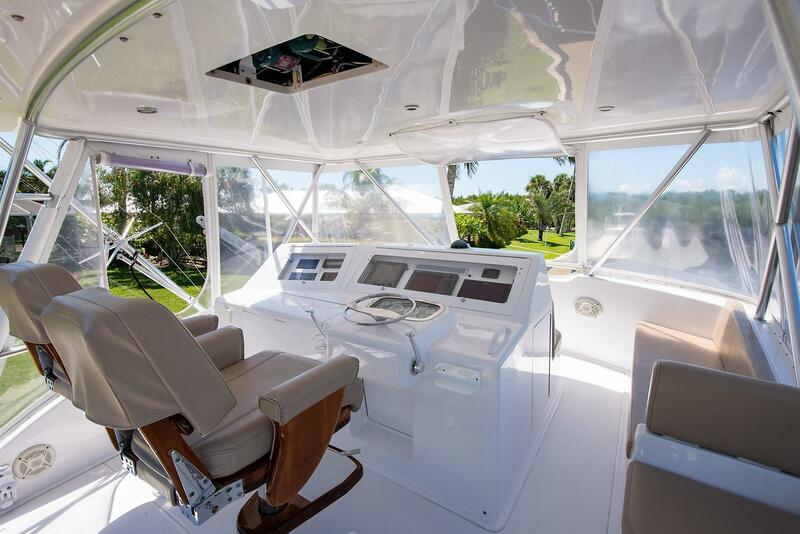 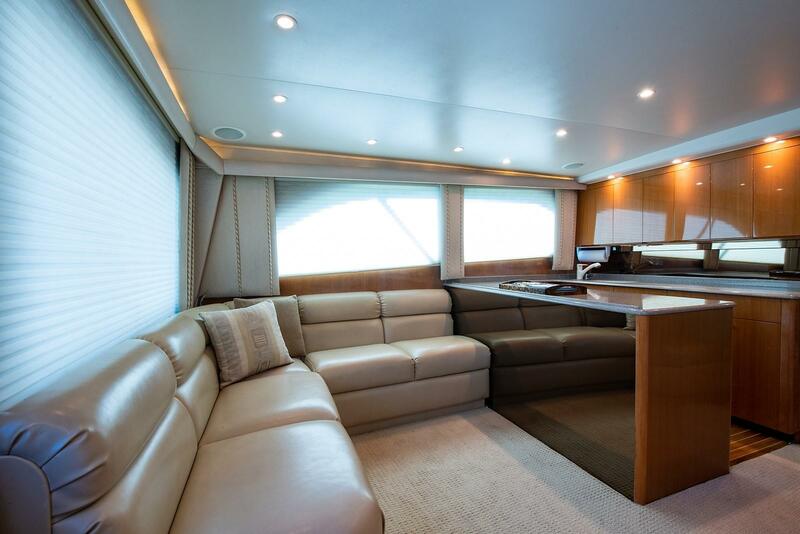 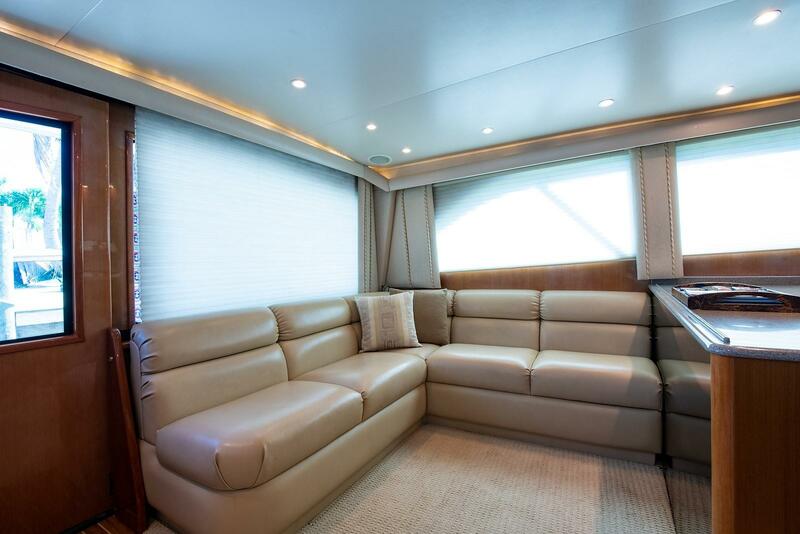 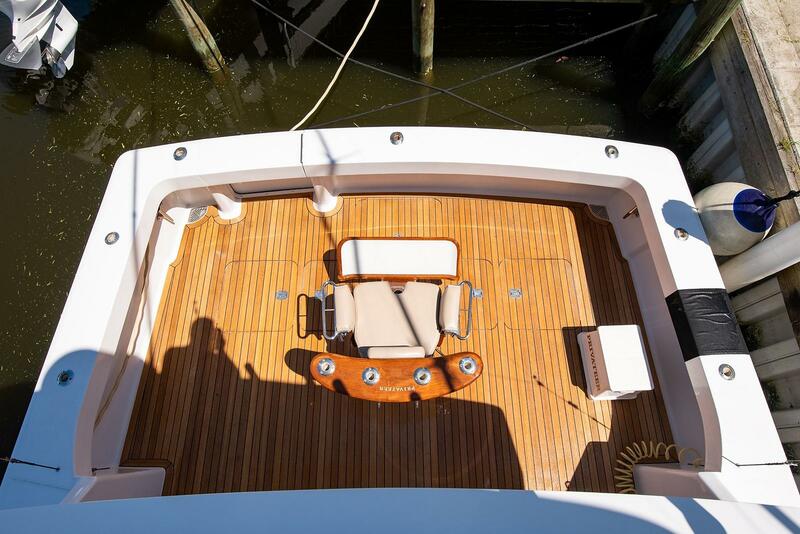 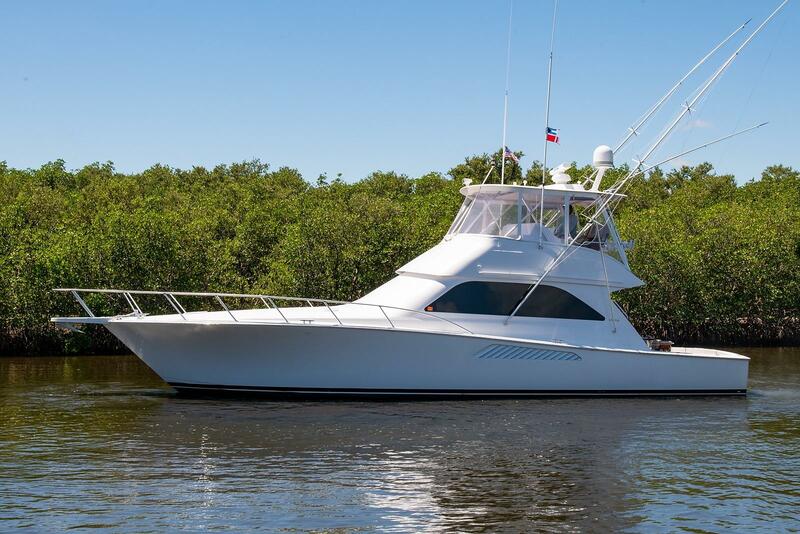 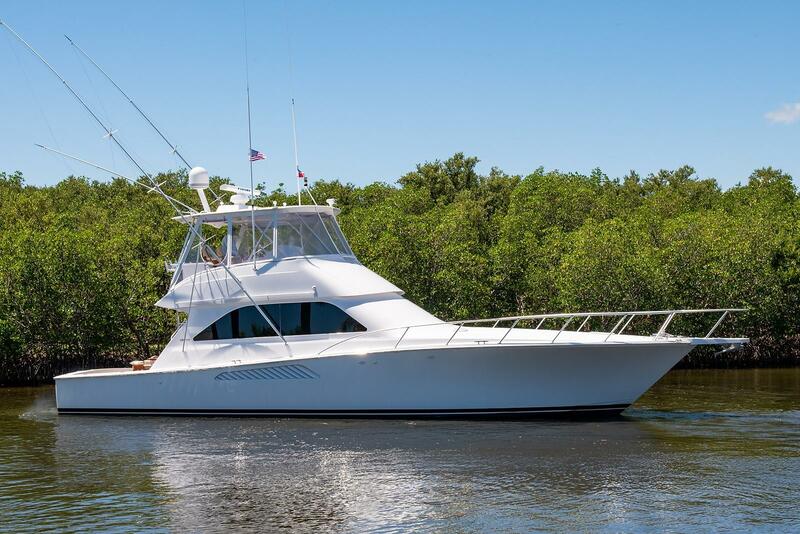 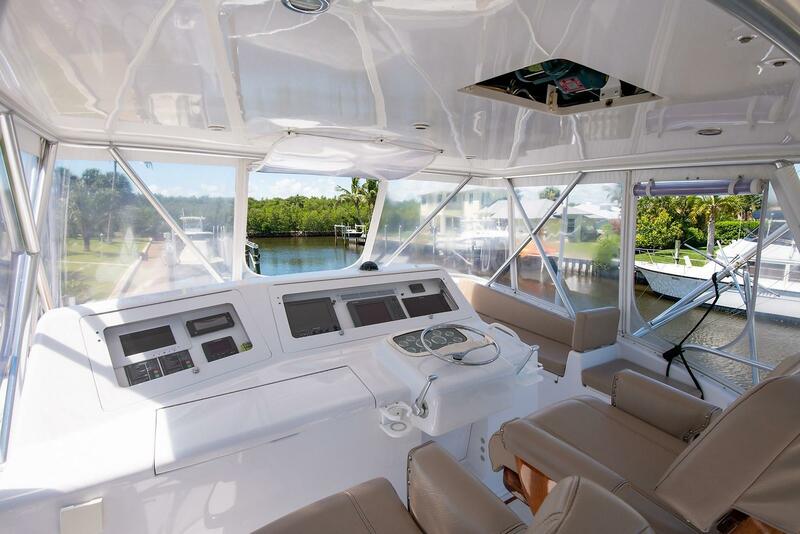 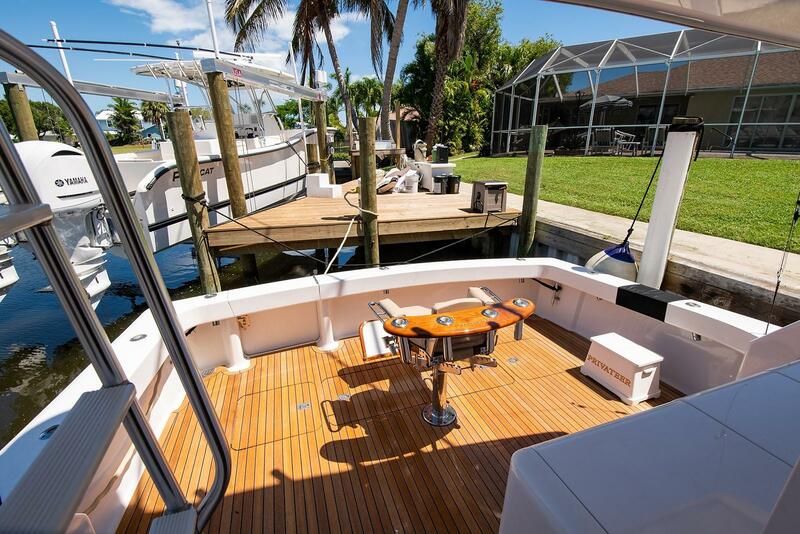 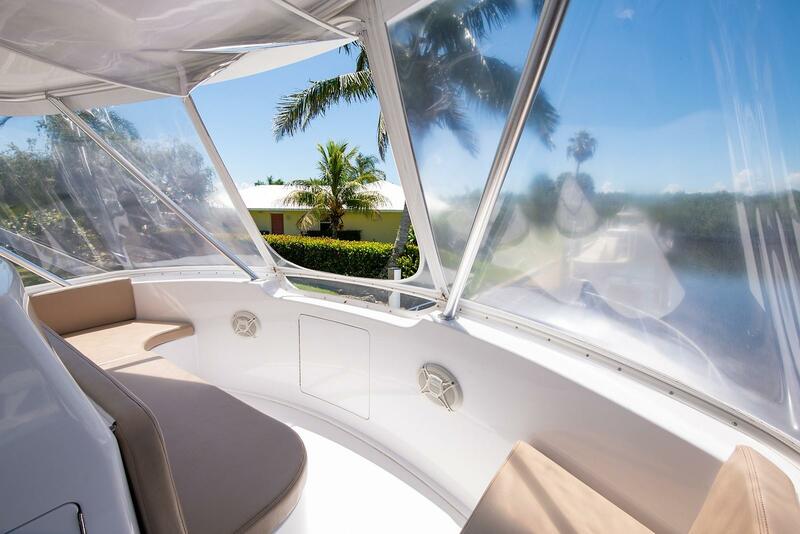 The flybridge is protected by a molded fiberglass hardtop and a three-sided enclosure. 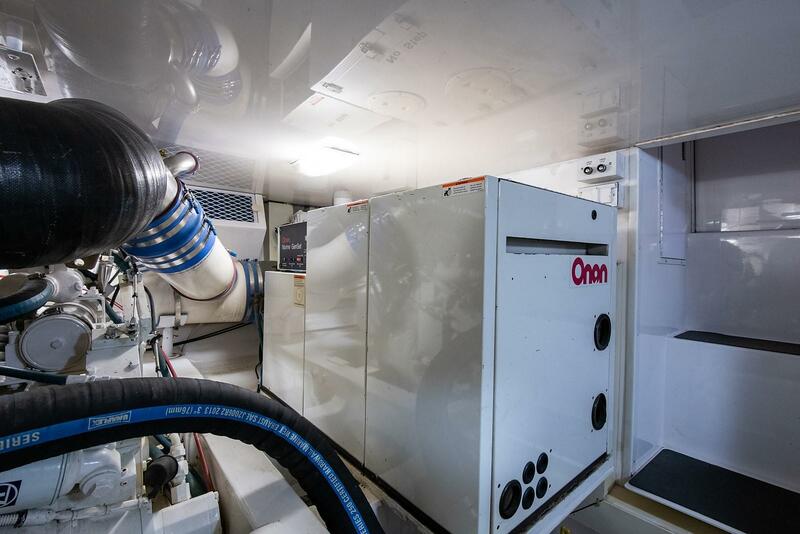 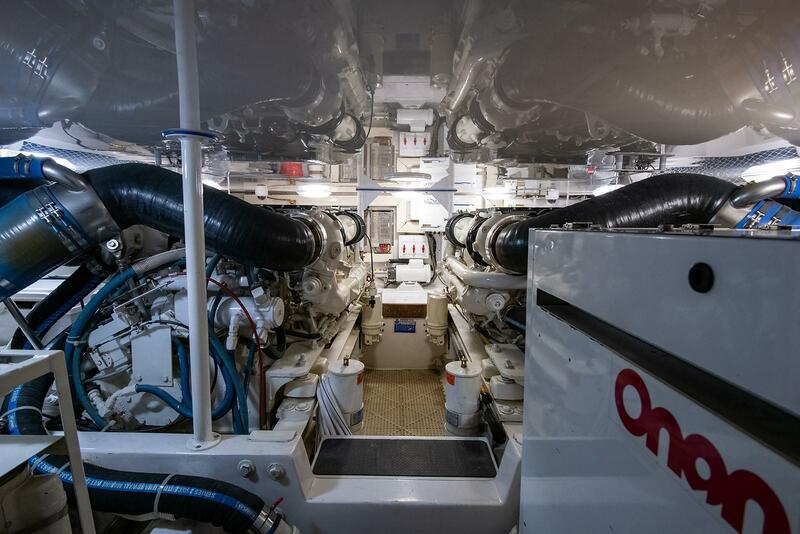 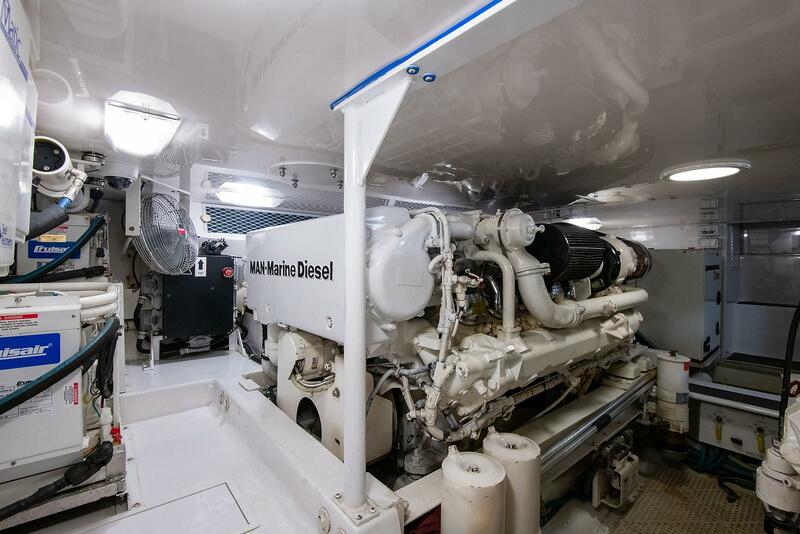 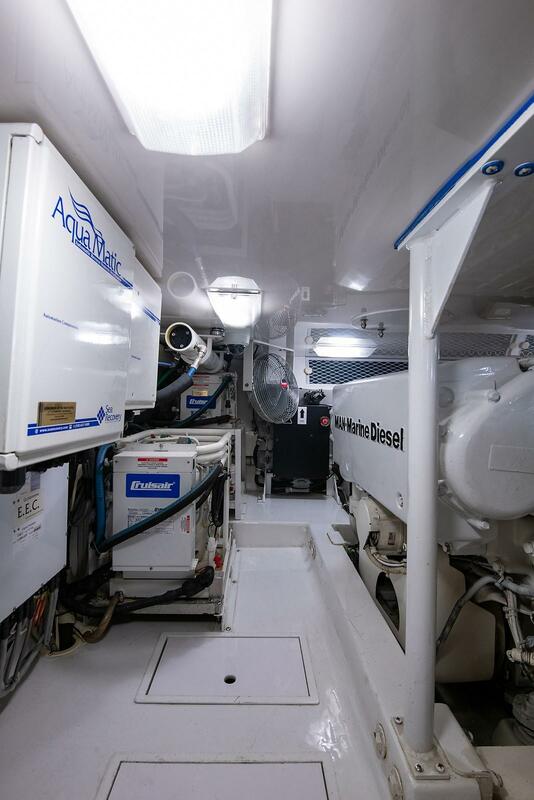 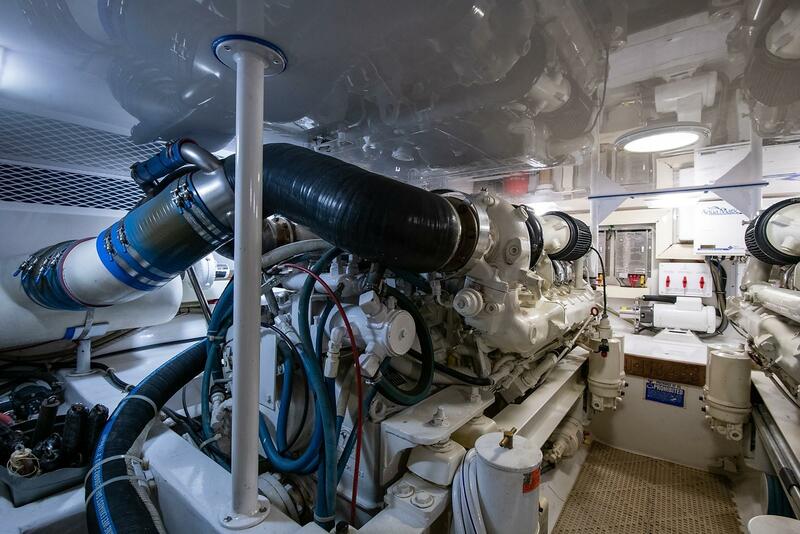 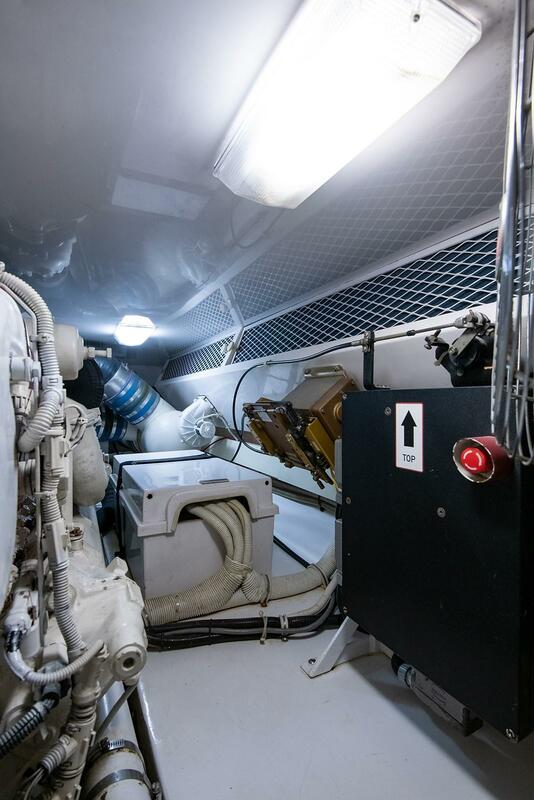 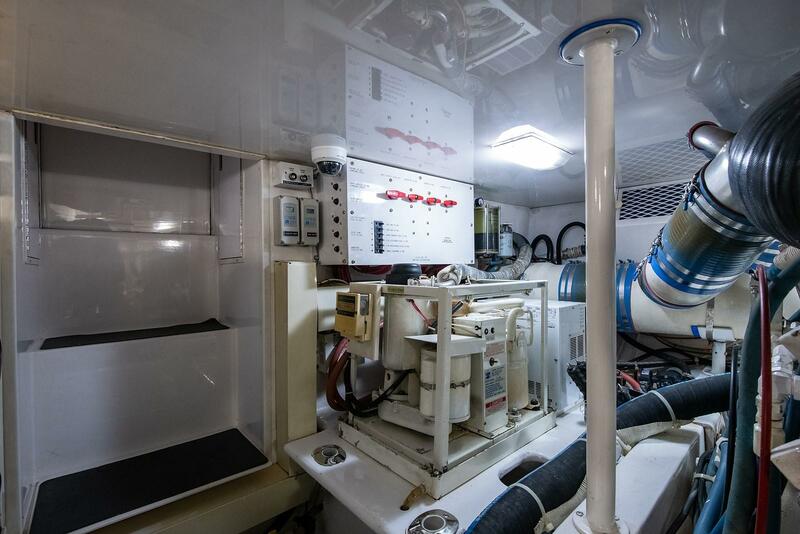 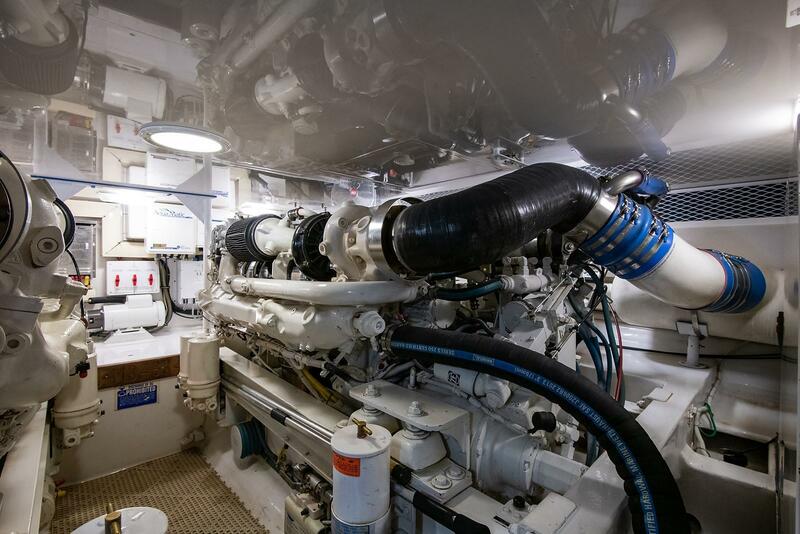 MAN 1000 hour service completed by Ace Marine, January 2019. 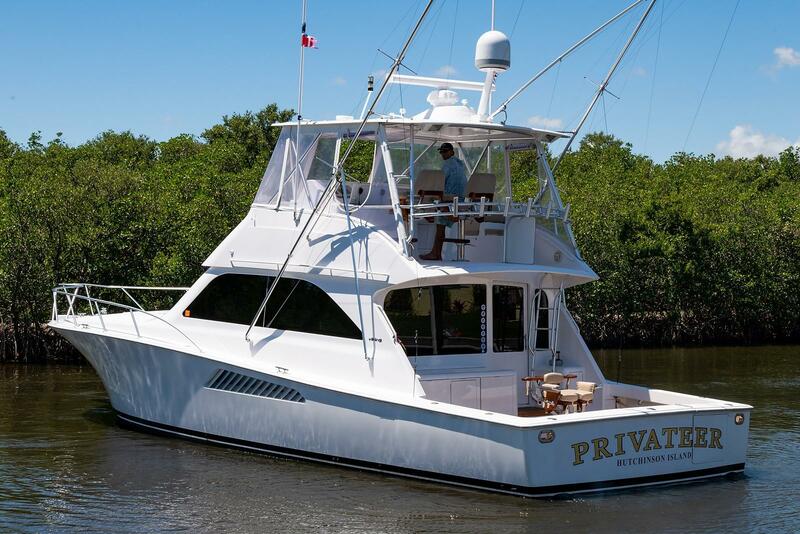 The Privateer has had only two caring owners since delivery. 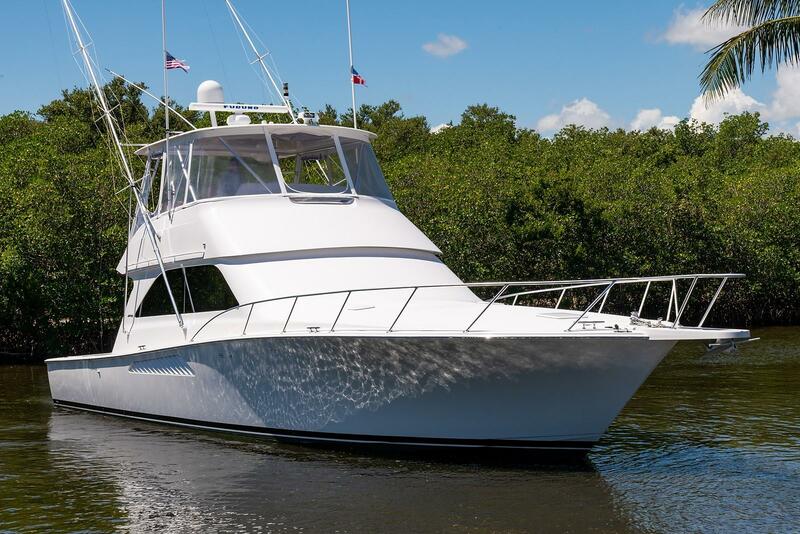 She had topside paint by Viking as well as numerous upgrades. 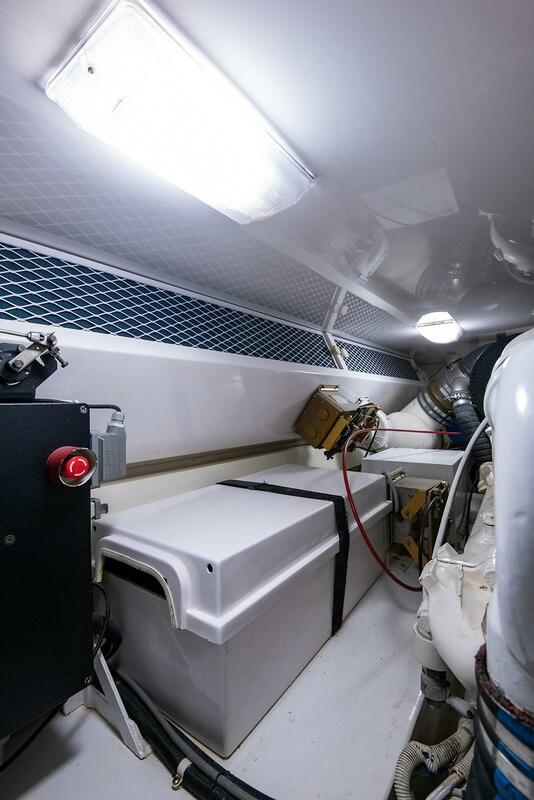 Loaded with gear, and ready for her next owner.